Each Sunday a bouquet of flowers can be found on our new Welcome Station in the back of the Sanctuary. 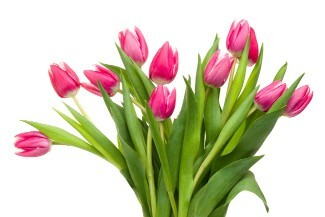 Like the altar flowers, these welcome flowers can be dedicated to the honor or memory of a loved one. 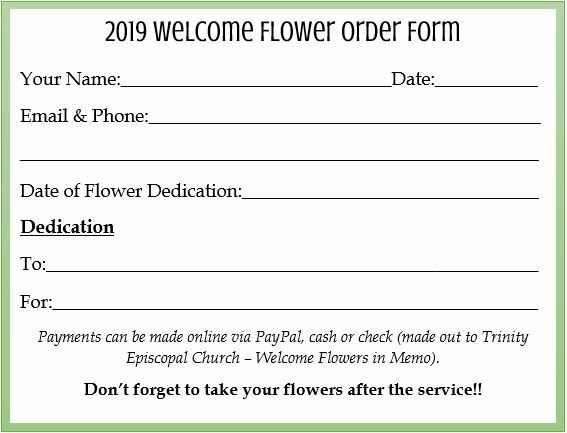 Orders can be placed 2 ways: Fill out a flower order form – found on the Welcome Station – and place in the offering plate, or sign up on the Flower Page found on our website, trinitytoledo.org. An invoice will be emailed to you once the office receives your order form. Welcome flowers remain $45; payment can be made online through PayPal, or cash or check can be placed in the offering plate or mailed to the office (316 Adams St. Toledo, OH 43604). At the end of service, an Altar Guild member will place your bouquet into a vase that you can take home or share. Don’t forget to stop by the Welcome Station at the conclusion of service to pick up your flowers!!! Please email the office with any questions at admin@trinitytoledo.org.